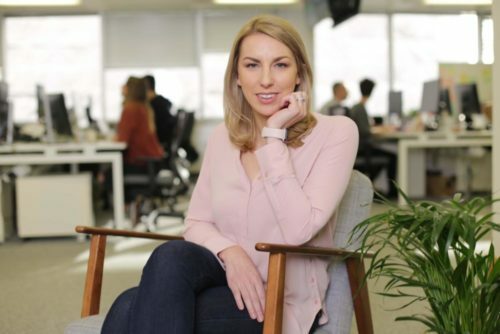 We interviewed Megan Caywood, a Chief Platform Officer at Starling Bank on her experience and thoughts on women in tech. 1.) What does your job role involve? As Chief Platform Officer at Starling Bank, I have responsibility for our Marketplace Platform and our API strategy. This requires that I work across teams in the organisation, from development and design to legal, compliance, risk, operations, finance, marketing, and customer support, as well as working directly with external third party partners that we collaborate with. The successful implementation of our platform is truly a cross-functional effort, and requires me to effectively lead across multiple areas to achieve our goals. 2.) What made you choose a career in technology? While in university, I co-founded the University’s first Entrepreneurship Club, and this is what initially sparked my interest. I studied psychology with a particular focus on cognitive science and neuroscience, and originally planned to pursue a career in this field. In that capacity, I had the good fortunate to be accepted into a Yale’s research program to complete cognitive science research in their graduate school, and then subsequently was accepted in Stanford’s cognitive science research program, while concurrently completing an honours thesis at Pepperdine University. I was intent on pursuing my PhD in cognitive neuroscience, until a good friend of mine asked me to co-found my university’s first Entrepreneur Club. In doing so, I became President of the club and we formed a cross-functional team and founded a tech start up. This was my first foray into tech, and I loved it so much that I decided to explore a role in tech in San Francisco prior to pursuing my PhD. Thankfully, my background in research laddered up well to the skills required for Product Management, and so I had the good fortune of being accepted into a Rotational Development Program at Intuit where I had the opportunity to learn from some of the best and brightest leaders in technology in San Francisco. 3.) Did you study an IT or technology related subject at A-Level or University? No, I was pursuing a cognitive science degree. It wasn’t until I was asked to co-found the University’s first Entrepreneur club that I was first exposed to working in and developing technology. 4.) Did you get any work experience in IT or technology before this role? Yes, before Starling I was working in financial technology in San Francisco. In that capacity, I led multiple products launches (in the US and globally), developed 5 patents in technology, and oversaw Xero’s successful global expansion of its Payroll product. As a result of this work, I was recognised by the UK government as a World Leader in technology and was granted an Exceptional Talent visa to move to the UK to bring my skills to the UK market. 5.) Do you think there is a lack of females in IT or technology is just for men? Technology certainly isn’t just for men – it’s been proven in multiple research studies that diverse teams have better results. However, there is certainly a lack of females in technology, particularly financial technology. Gender diversity is still a challenge for many companies. From day one at Starling we’ve always had the mind-set that a diverse team will make an exceptional team, and so we ensured that talented women were equally given opportunities across the company. 6.) Do you find there is a stereotype that a career in IT or technology is just for men? Historically, yes. It’s been identified that there are a number of factors contributing to this, from the basics such as Job Postings for IT roles stating “He should have a background in X and he should have X number of years’ experience”, clearly stating an expectation that the applicant will be male, which can discourage female applicants. However, I’m very proud to see the industry recognising that diverse teams with a gender balance have better results, and pushing for more equality. There are also great initiatives, like the Women in Finance Charter, which are aiming to increase female participation in the highest levels of organisations. As these initiatives build and more women are in these roles as leaders and role models, then more and more young women will pursue careers in technology. 7.) What would entice women to study technology related courses? I believe that the increasing number of female leaders in technology that serve as role models will give young girls confidence to pursue similar roles. Additionally, having organisations like Code First Girls and Girls Who Code are great advocates and supporters of women in tech related courses. Further, I think having mentors (male or female) who can help women navigate their journey to beginning a career in technology can be greatly helpful. 8.) Are there barriers when it comes to women getting into tech? Unfortunately, yes. On the one hand, there still forms of open prejudice against women but that is not just specific to the industry or technology. A key way of discovering and receiving opportunities is through a support network, and while that exists for men given their majority status in finance and technology, it’s not yet as available for women and so not as many opportunities are introduced, supported or created. That being said, despite these barriers, many women (myself included) are relentlessly proactive about finding and creating opportunities and can/do overcome these barriers. 9.) How could we encourage more women to start a career in tech? Showcase successful women leaders in tech who can serve as role models, promote opportunities for women to learn skills in technology (e.g. Code First Girls), ensure job postings aren’t gender exclusive, continue to drive awareness that gender diverse teams have better results (in terms of product offerings as well as the resulting revenue driven – there’s a lot of research on this!) and advocate that companies intentionally seek diversity. Currently, having a diverse team doesn’t happen by accident – you have to be intentional about creating it.